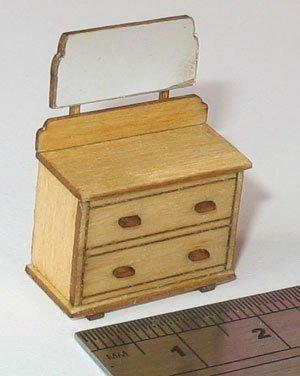 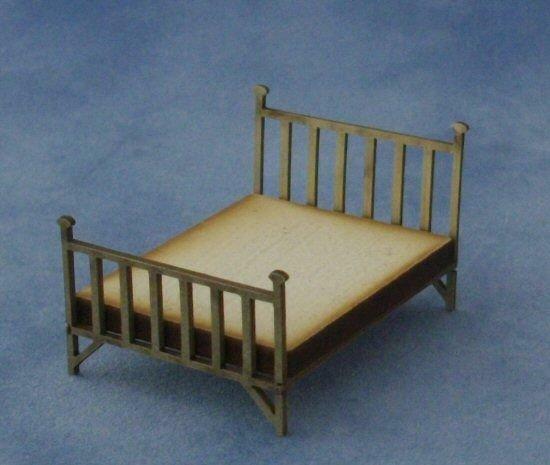 This is a kit for a brass type double bed, suitable for 1/48th scale miniature dolls house bedrooms. 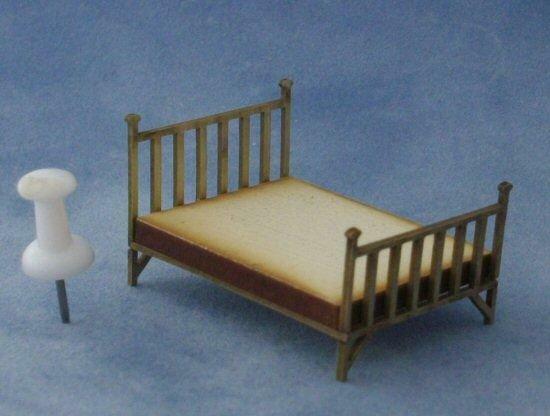 The bed ends are made from laser cut painted card and the mattress from mdf. 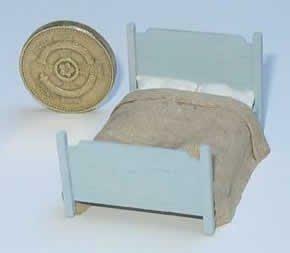 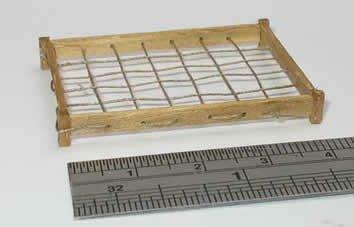 Bed measures 40mm long x 29mm wide x 25mm tall. 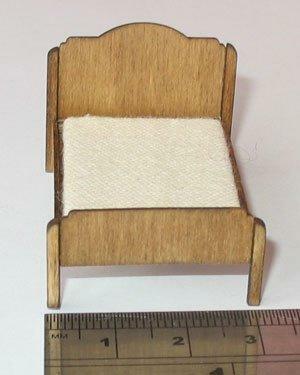 I just need to finish a few items and then I'll be adding some painting tips to my blog along with some pictures of painted furniture.